More info on Basil in Crown Heights | Thanks a Glatt! « Costco has gone Kosher Krazy! 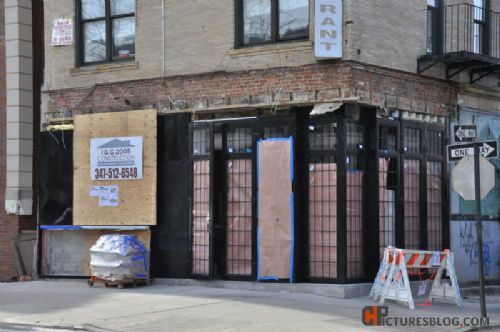 I have an update on the new Pizza and Wire Bar “Basil” that will be opening up in Crown Heights via Ouri Ivory their project and restaurant coordinator. First off this will be the first kosher wood oven pizzeria in Brooklyn (maybe even in NY???) The place will be luxurious in design and have a full on gourmet menu (yum!) – from fresh fish to pasta to pizza. They will also be open in the mornings and serve fresh pastries via their own in house pastry chef. If you are worried about their hechsher then worry no more as they will be under OK Kosher supervision. The only thing I don’t have is their opening date however I will post that as soon as I hear from them! Lovely place, with great stuff. Feel like I have been in Italy.Basil fries is simply the best fries I have ever eaten, their mushroom soup made fresh and taste like 20-30$ soup I had in city. Prices are very normal. 2 people would spend about 40-60$ and would be full. I have never left that place hungry or unhappy. I would recommend to a family dinner, date, meeting, or simply delicious lunch. Treat yourself and enjoy yum food.